New 45.7 backlit CMOS sensor with ISO 64-25,000. My hope is that the dynamic range matches that of the D810. Nikon says it will. 7 fps full-frame (FX) capture, with 9fps when you add the battery grip. Wow! That’s some serious bandwidth. For most of us, 7fps is plenty, but knowing that you can get to 9fps without needing to shoot in a cropped mode… that’s downright amazing! Fully weather-sealed and no pop-up flash. My lenses are usually too big to use with a pop-up flash, anyway. I love the resulting sleek form-factor and body design. Autofocus system from the D5. I love the AF in my D500, and I’m excited to have that system in the D850. High-resolution touch-screen, articulating LCD. After using an articulating LCD on my D750 and D500, it’s one feature I really miss on the D810. No more craning my neck to get low-angle shots. XQD Card Support. While not everyone was sold on the XQD card format, I’ve really enjoyed using them in my D500. Not only do they make clearing the buffer faster (the D810 has a 51-shot buffer), but if you use a USB 3 card reader, file transfers absolutely scream! Focus-peaking. In live view, you can manually focus using focus peaking (edge detection), a feature found in most mirrorless cameras. Silent shooting in Live View: The D850 has an electronic shutter option that lets you shoot silently in live view. Again, a feature similar to mirrorless cameras. Larger viewfinder. The D850 boasts a viewfinder with 0.75x magnification. That’s the largest viewfinder magnification factor for any Nikon FX-format DSLR to date. Automatic focus calibration. The D500 has this feature, and I’ve had mixed results with it. Hopefully the D850’s version is improved. Automatic focus-stacking. I didn’t see that coming! If you like to stack focus, the D850 will set up automatic step focusing for up to 300 shots! Who is the Nikon D850 designed for? Rarely does a company design a “jack of all trades” camera that can truly deliver on all fronts with minimal compromises. The D850 very well could be this camera. Frankly, it’s a camera for any level of photographer, from enthusiasts to professionals. I view it as perfect for landscape and nature photography, and most action photography, too. If you need the highest ISOs possible, the D5 is your choice, but for over $6000 it’s hard to see the value there unless your work truly demands it. The D500 is still going to be great for wildlife work, as you’ll get slightly smaller file sizes and the benefit of the DX crop factor and 10fps without any additional accessories. 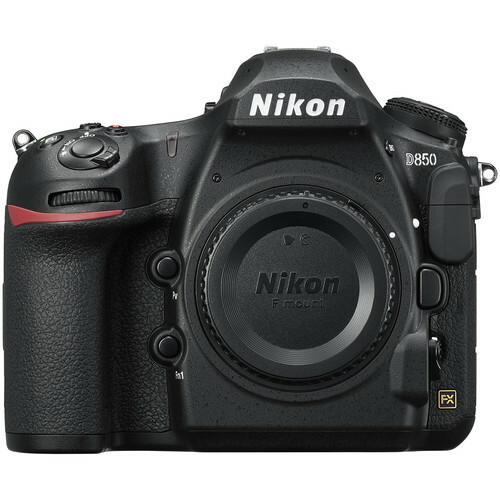 There are lots of other great features in the Nikon D850, including its video features (something I’m not really looking into right now) and I’ll have more to say about them when I get mine (I pre-ordered this morning). Until then, you can check the full specs and pre-order it here.